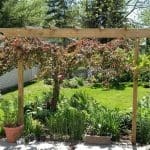 The Brim makes a perfect border when installed between the edge of a deck and garden, or used as a trellis over a walkway. It comes in many different lengths to suit your needs. This kit is available in pressure treated pine or rough sawn western red cedar. It includes 4X4 posts, 2X8 beams, and 2X4 rafters. All sizes include 2 posts except for the 16′ and 20′ kits. 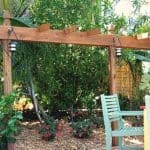 Base price of The Brim pergola kit standard sizes starts at $707. To configure and price your standard size kit, choose Size and Wood Type, Post Length and Depth, and End Shape. Choose your size and wood type, and the additional cost for your selection will be displayed in the subtotal. Base price = $707. Choose post length. How deep will the posts go into the ground? 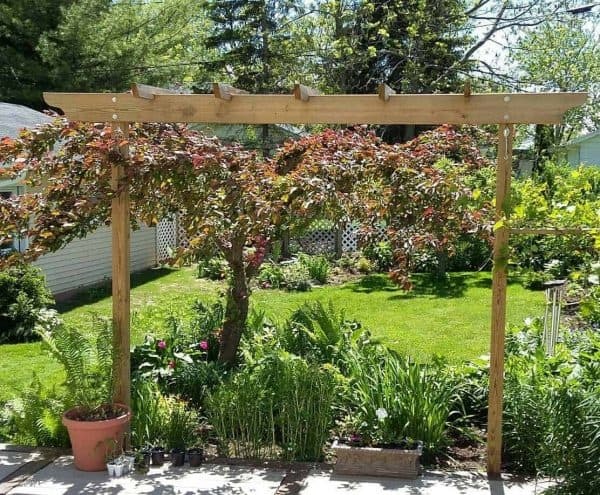 The Brim makes a perfect border when installed between the edge of a deck and garden, or used as a trellis over a walkway. It comes in many different lengths to suit your needs. 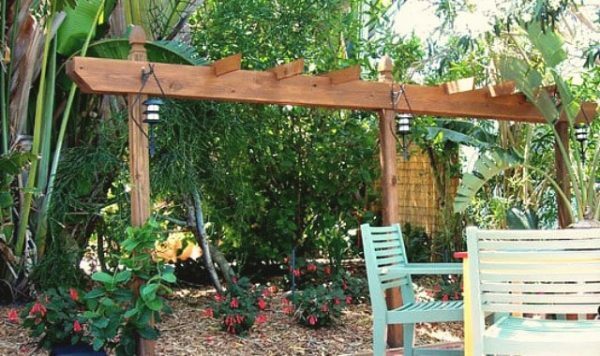 The Brim pairs well with the Big Kahuna freestanding or attached pergola. As with all of our kits, you choose the end cuts to customize it just the way you want it. This kit is available in pressure treated pine or cedar. It includes 4X4 posts, 2X8 beams, and 2X4 rafters. We use stainless steel hardware to prevent rotting, and offer optional galvanized steel post base mounting hardware. Every kit comes complete with all pre-cut, pre-drilled lumber that is pre-marked for easy assembly. It also includes a set of step-by-step instructions to guide you through the assembly process. 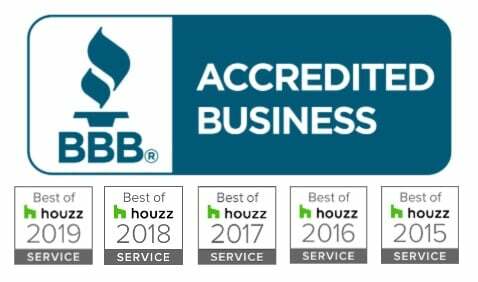 Our kits are so easy to assemble that two people can easily have most kits set up in four hours or less with absolutely no construction knowledge whatsoever. It’s that easy! 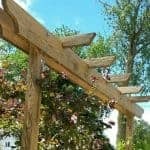 So choose your size, and your end cut preference, and before you know it you will be enjoying your backyard under a beautiful pergola cut specifically for you. Lights and post finials shown are not included. 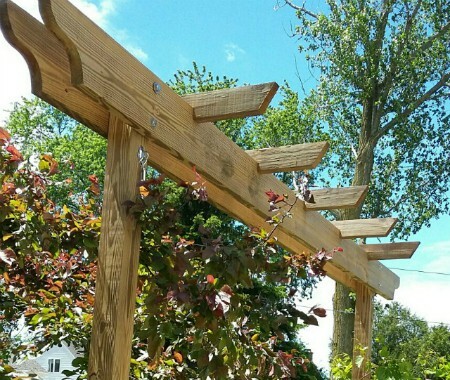 All sizes include 2 posts except for the 16′ and 20′ kits.